Oct. 29, 2013 is a date that broke the hearts of many the world over: the day the Jonas Brothers officially broke up. After cancelling their tour earlier that month, the band deactivated their twitter account and, with seemingly no explanation, ceased to exist. After the breakup, the brothers opened up about the reasoning behind the split. In short, they wanted to pursue their own interests. They each had ideas about the direction in which they wanted the band to go, and their differences began to put stress on their relationship both as bandmates and brothers. That changed when the Jonas Brothers reunited and released “Sucker” March 1 – the band’s first single in six years. “Sucker” debuted No. 1 on the Billboard Hot 100 – the group’s first ever No. 1 as well as the second group ever, and first in this century, to debut No. 1 on the Hot 100. The band’s next highest Top 100 ranking was “Burnin’ Up,” which debuted at No.5 in 2008. The frenzy surrounding the band’s reunification and release of “Sucker” is not unearned. Not only is the song extremely catchy, it represents the growth the brothers have made – both as a band and as individuals. The tone and message of “Sucker” hail back to the group’s previous hits – the quintessential Jonas Brothers song discusses love and the antics that surround that emotion. The Jonas Brothers managed to avoid the common pitfall of reunited bands: trying too hard to be what they once were. There is no way that the group – in completely different stages of life than they were six years ago – could recreate their old sound, nor should they. Instead, their new single has aged with them. 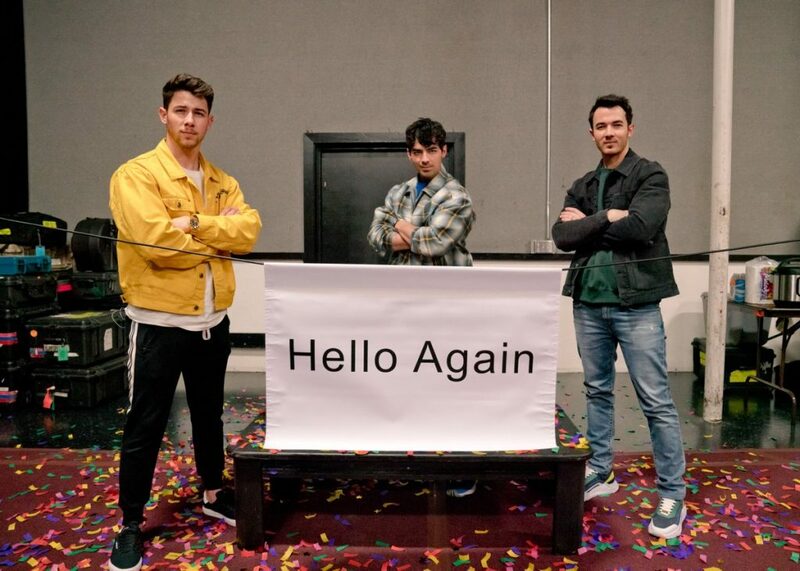 While the new single continues the Jonas Brothers’ tradition of love-centered lyrics, it is no longer the immature picture of teenage first-love. “Sucker” represents the maturity of the band, and the loves currently in their lives – the lyrics declaring that, no matter how mature the men get, they will always be rendered helpless by the love they have for their significant others. In addition to the lyrics, the song’s rhythm and tune are perfect for jamming out to. In a word, “Sucker” is sunshine – it has the power to brighten up anyone’s day. The single becomes instantly relatable – whether one is actually in love or not – and pulls the listener into its danceable melody and captivating lyrics. The Jonas Brothers are back – and with a single like “Sucker,” their album is sure to be superb. So pull your old band posters out of your closet, put on your favorite Jonas Brothers song and get ready to enter into a glorious new age of their music.